The rugged, cost-effective solution for printing date codes, barcodes, nutrition facts, ingredients, logos and other text and graphics on-demand. 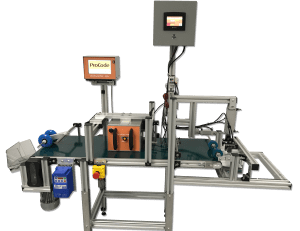 A friction feeder and short conveyor with average print speed of 30 pieces per minute. Print area from 32mm x 50mm (1.26” x 1.97”) to 107mm x 75mm (4.22” x 4.93”), depending on printer model. 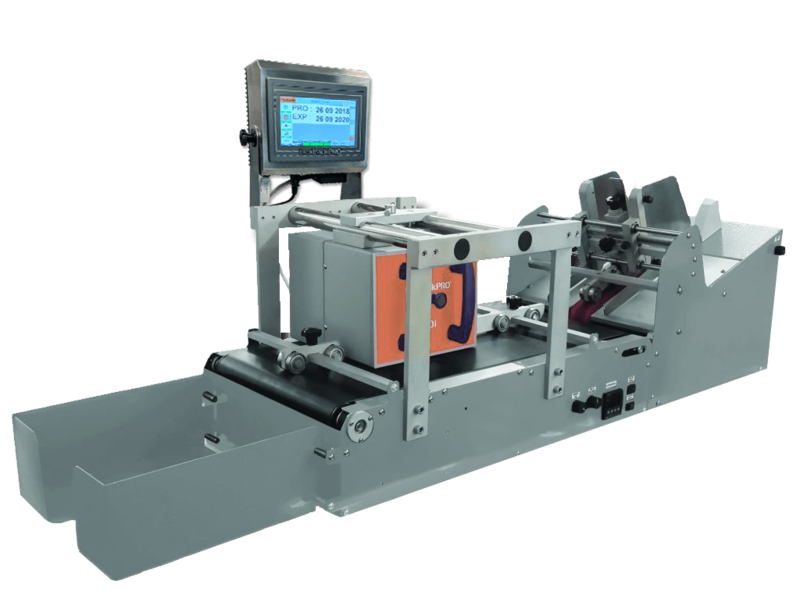 The advanced choice for automatic feeding and printing of virtually any type of bag or pouch, up to 15” x 15” in size. 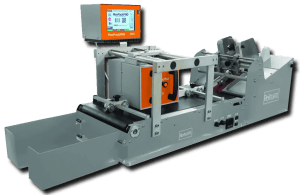 Highly reliable vacuum pick and place system on wide belt feeds and prints up to 60 pieces per minute in continuous motion. Print area from 32mm x 125mm (1.26” x 4.93”) to 107mm x 125mm (4.22” x 4.93”), depending on printer model.